Sometimes, life makes us suffer, and those moments of suffering can either make us stronger or plunge us into absolute sorrow. This book attempts to help us break out of that vicious circle. 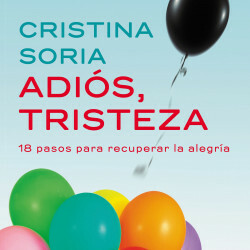 Cristina Soria explains to us the origins of sorrow and gives us the keys to overcome it and to face life in a more optimistic way. It uses real testimonies and many exercises to help the reader during the recovery process. In these pages, you will find answers to many questions, such as what the main symptoms of sadness are, or how to treat a family member who is suffering from sorrow.